Sri Lanka’s first and the only Payment Technology Innovation Awards – LankaPay Technnovation Awards 2018 reached its grand finale recently. Initiated with the objective to recognize the torchbearers of payment technology innovations in the country who have steadfast to the cause of providing excellence and convenience in digital payments, the event was held for the second successful year on 20th September 2018 at the elegant Shangri-la Hotel Colombo. LankaPay Technnovation Awards 2018 was graced by Hon. Manusha Nanayakkara, Deputy Minister – Telecommunication, Digital Infrastructure and Foreign Employment, Hon. Eran Wickramaratne, State Minister – Finance and Mass Media and Dr. Indrajit Coomaraswamy, Governor of the Central Bank of Sri Lanka. The event also featured the international keynote speaker, Chia Hock Lai, the Founding President of Singapore Fintech Association (SFA) who shed light into a topic of contemporary significance in relation to the future of payment technology, adding further value to the audience. Bank of Ceylon bagged the pinnacle of all awards by winning the Gold as the Overall Winner for “Excellence in Interbank Payments” under the “Banking Institutions” category while Sampath Bank PLC claimed the Silver Award as the Overall Runner Up. 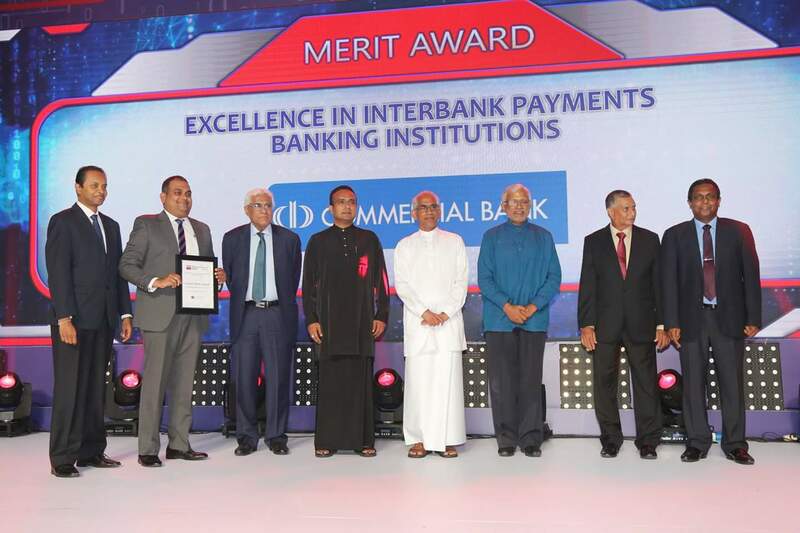 The Overall Merit Award was secured by Commercial Bank of Ceylon PLC. Under the “Financial Institutions” category, LOLC Finance PLC was crowned as the winner of “Excellence in Interbank Payments” while Commercial Leasing and Finance PLC bagged the Silver Award as the Overall Runner Up. Initiated last year in a quest to drive financial inclusivity in the country, which is a key objective of the Central Bank, LankaPay Technnovation Awards intends to enhance the efficiency of the country’s national payment network. Award criteria for 2018 considered interbank payments during the period from 1st April 2017 to 31st March 2018. Banks, non-banking financial institutions and FinTech service providers who have steadfast to this cause and exceled in this endeavor will be vying for recognition under 15 award categories. The fiercely competed categories included Overall Winner for Excellence in Interbank Payments-Banking Category, Overall Winner for Excellence in Interbank Payments-Non-Banking Category, Bank of the Year for Excellence in Customer Convenience, Best Common ATM Acquirer of the Year, Best Bank for Seamless Back-end Operations Bank of the Year for Financial Inclusivity, Most Innovative Bank of the Year, Financial Institution of the Year for Customer Convenience, Most Popular Electronic Payment Product-banking and non-banking financial institutions, Most Popular Electronic Payment Product-FinTech category, Best Mobile Payment Application of the Year, Best Bank for Retail Payments, Best Application for Retail Payments, Best Acquirer on LankaPay Online Payment Platform and Best Acquirer for US Dollar Online Clearing. The initial shortlisting was carried out based on the performance of individual banks, non-banking financial institutions and Fintech service providers against a set criteria defined and communicated at the beginning of the period, which was also subjected to an independent audit. At the second phase of judging, the shortlisted winners presented to an independent and eminent Panel of Judges as to how they achieved that performance. The Chairman of the Panel of Judges of LankaPay Technnovation Awards 2018 was Mr. Wasantha Deshapriya, former Secretary to the Ministry of Telecommunication and Digital Infrastructure who played the same role in the previous year’s competition as well. The other members of the panel of judges were Mr. Asite Talwatte, Chairman Management Systems (Pvt) Ltd and Past President CIMA and CA Sri Lanka, Mr. Lasantha Wickremasinghe, Immediate Past President, Institute of Chartered Accountants of Sri Lanka and Partner BR De Silva, Mr. Rajeeva Bandaranaike, Chief Executive Officer of Colombo Stock Exchange, Mr. Jagath Perera, President CA Sri Lanka and Ms. Anushya Coomaraswamy, Non-Executive Director at Janashakthi Insurance PLC and PrintCare PLC. and former Group Finance Director – John Keells Holdings PLC.